P.S. In case you were wondering, it’s 118 degrees here in Arizona, so we created an indoor picnic! Les Vins Georges Duboeuf is a family-owned winery in the heart of the Beaujolais region of France. 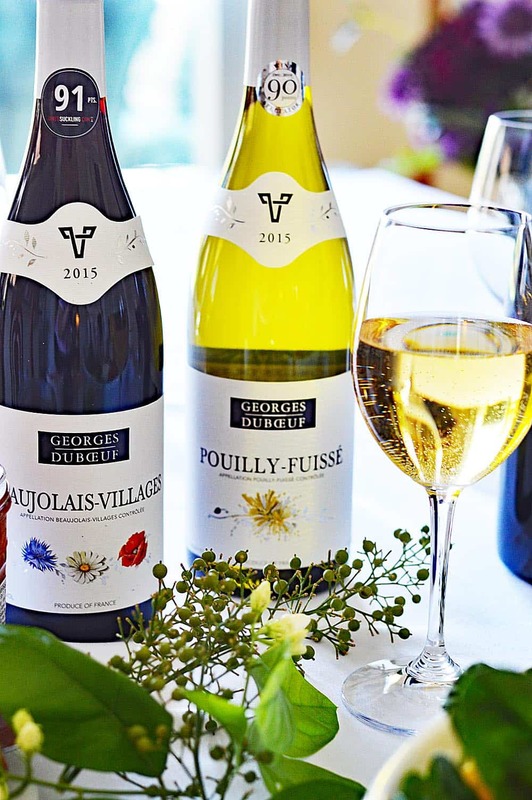 George Duboeuf Beaujolais-Villages 2015 (Retail Price range: $9.99-$12.99 & vegan-friendly) is made from 100% Gamay. This one was actually my favorite due to its smooth velvety mouth feel. Georges Duboeuf Pouilly-Fuissé 2015 (Retail Price range: $24.99 – $34.99 & vegan-friendly) is made from 100% Chardonnay and was lovely as well. It pairs well with food, but is also great to enjoy on its own! 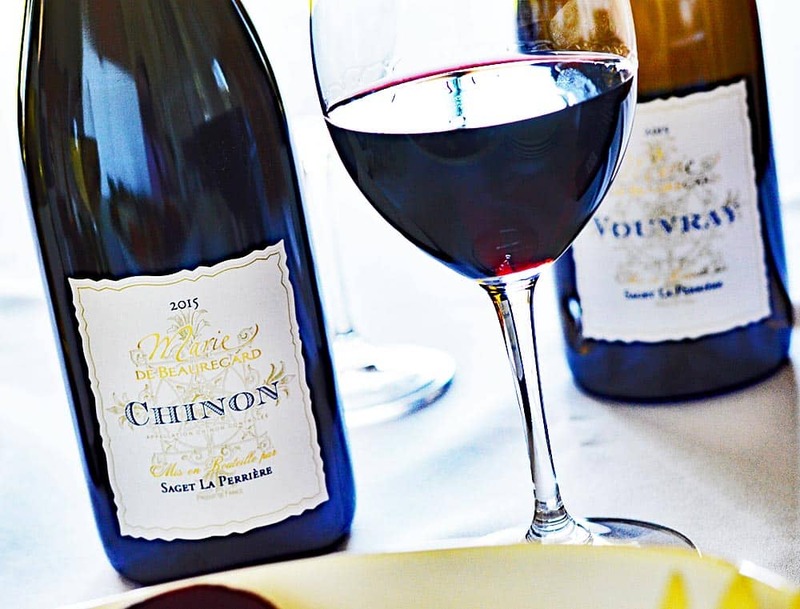 Marie de Beauregard Chinon 2015 (Retail Price: $19.99 & vegan-friendly),a Cabernet Franc is barrel aged for 9 months. This fruity wine with just a hint of vanilla has a beautiful deep burgandy, almost purple, color. Just gorgeous! Marie de Beauregard Vouvray 2015 (Retail Price: $19.99 & vegan-friendly), a Chenin Blanc from an estate near the city of Vouvray, is a beautiful golden color with a smooth and silky texture. 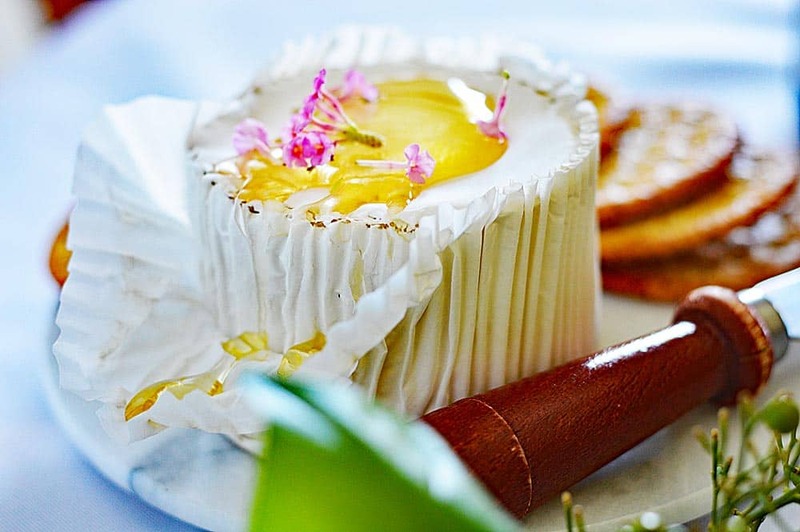 I was also sent a few cheeses from Ile de France®, a brand that remains a top seller in the United States, readily available at gourmet stores and supermarkets. The St. Andre, also known as “the heavenly cheese” retails for $19.99/lb. 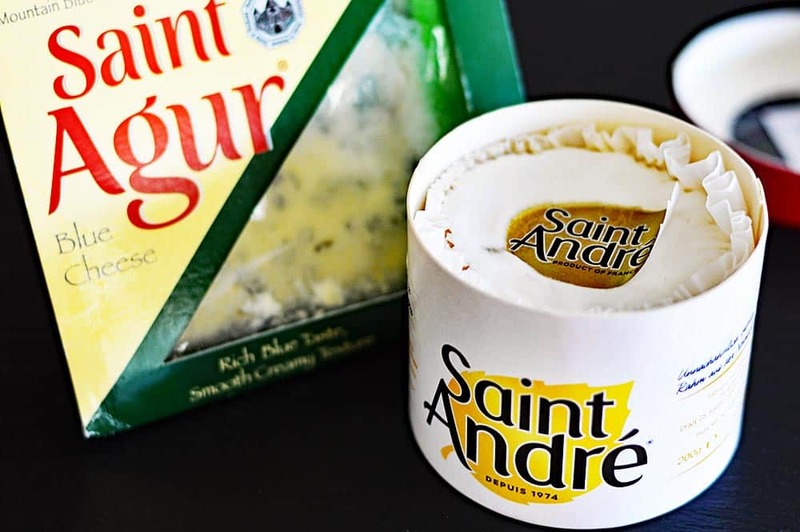 This soft ripened triple cream cheese actually pairs well with the Loire Valley wines, such as the Marie de Beauregard Saget la Perrière wines above. It’s soft and creamy and easy to pair with sweet or savory selections. St. Agur is a double cream Blue cheese, retails for $22.99/lb. and is perfect for a vegetarian salad as I’ve made here today. How about a french baguette? It pairs well with a Cabernet Sauvignon. I topped the St. Andre with a bit of agave syrup and served with crispy crackers. Isn’t it pretty? As a food blogger, the next two items are going to be ones I use on a daily basis! I am particularly interested in eco-friendly products, so I really wanted to share this snippet with you from their website: “La Baleine sea salts are made from the combined action of the sea, sun and wind and are particularly environmentally friendly, from a biodiverse environment and sustainable methods. Once a year, this precious “white gold” stretches as far as the eye can see. It is then collected, carefully, in order to preserve its unique taste and character. From the harvesting to the packing, controls are frequent and systematic, in order to offer you salt from the sea in its most natural form.” Isn’t that kind of awesome? 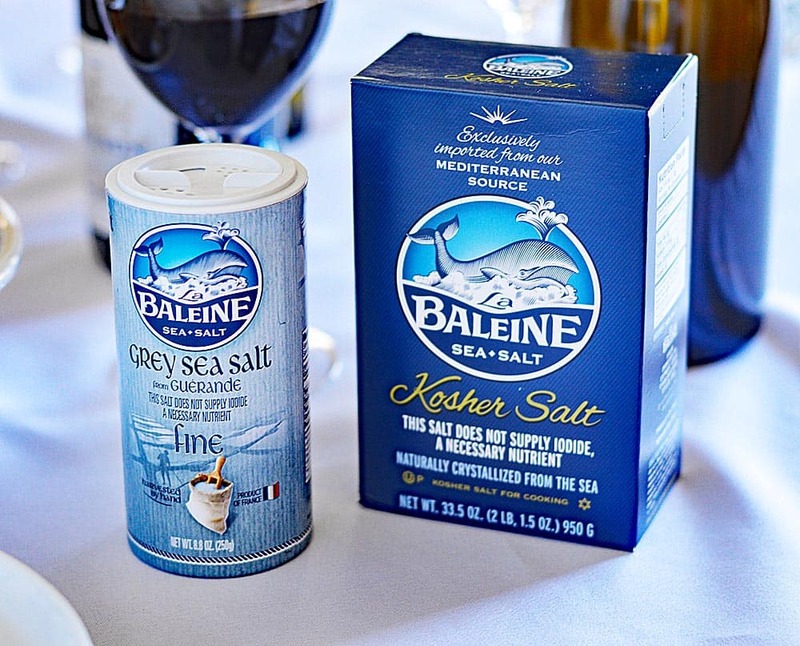 La Baleine fine grey sea salt from GUERANDE, which also retails for approximately $3.99, is a very rare sea salt. I learned that this particular grey salt can only come from GUERANDE…. (like Champagne can only come from the Champagne region). This one is the salt you’ll use for seasoning at the table, for cooking and even in your baking! It is a bit stronger than traditional table salt, so you’ll probably want to use less. Here you’ll see me using the La Baleine fine grey sea salt on these gorgeous golden roasted beets. So good! And there you have it. 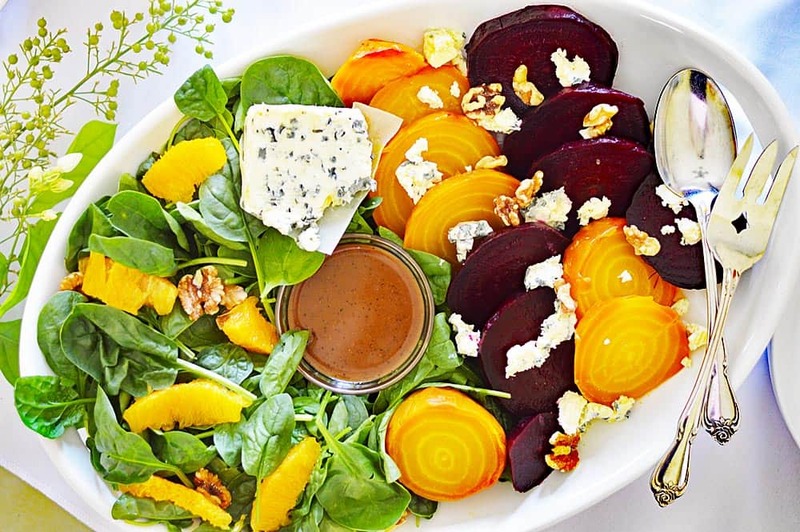 Our indoor picnic is complete with this wonderful roasted beet and greens salad. 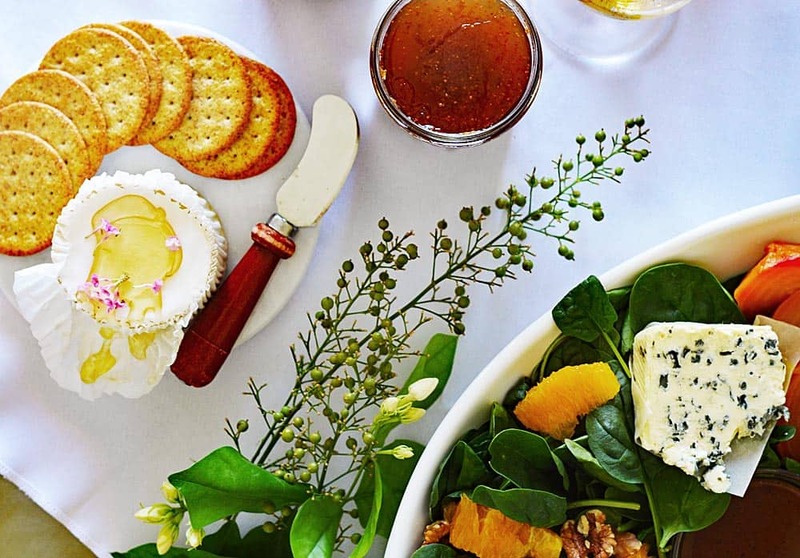 Add the cheese crumbles, a sprinkling of walnut halves and orange segments to complete your meal. 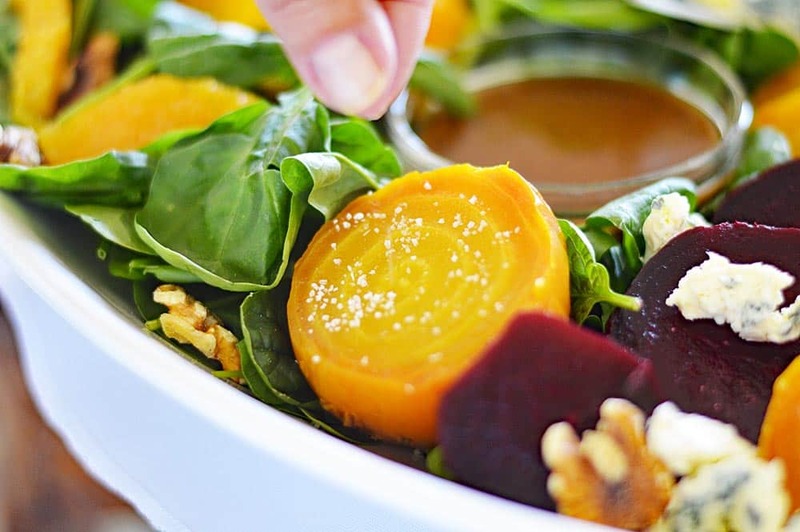 Of course, serve this beautiful salad with the delicious array of wines from France and finish with the grey sea salt. C’est Magnifique! I had to stop by to check out this wonderful spread—I am so glad I did. Your photos look wonderful and I definitely love the use of the products. You are so welcome—your photos are lovely. I also love the dainty flowers you used.